Lutfi’s attorney Joseph Schleimer had contended in opening statements that his client was made a scapegoat for Spears’ downfall. Schleimer argued Spears’ mother lied about claims that Lutfi drugged the singer and isolated her from family. And he said Lutfi’s close relationship with the paparazzi was a way to get them to be less unruly and more respectful of the Grammy winner. Yet Lutfi failed to show he had a binding management agreement that would have entitled him to 15 percent of the singer’s profits from her 2007 album “Blackout” and other projects, the judge ruled. Joel Boxer, an attorney for Spears’ conservators, argued that even if Lutfi had an agreement to serve as the singer’s manager, he obtained it through undue influence. Lynne Spears’ attorney Stephen Rohde noted that many of his client’s claims were included in court filings that prompted a judge to place the singer under the conservatorship, and that those statements were made under oath. 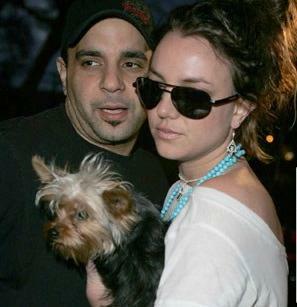 Lutfi sued in 2009, the same year that Spears’ conservators obtained a restraining order against him to stop trying to contact her or meddle in her affairs. He told jurors he endured death threats after the publication of Lynne Spears’ book, “Through the Storm: A Real Story of Fame and Family in a Tabloid World,” and he claimed the experience left him depressed and suicidal. Schleimer argued he was stymied by rulings that denied him access to sealed court records and Spears’ medical files, but Bruguera said the complaints weren’t valid. “I don’t know what I’m supposed to do with that information,” the judge said. Spears’ parents sat through the entire trial, which opened with Schleimer showing videos and photos of Spears’ turbulent period, including shaving her head and hitting a sport utility vehicle with an umbrella.